NASA Earth Observatory image by Kathryn Hansen, using MODIS data from LANCE/EOSDIS Rapid Response. Caption by Kathryn Hansen. At 10:50 a.m. Japan/Korea Standard Time (01:50 Universal Time) on August 20, 2018, the Moderate Resolution Imaging Spectroradiometer (MODIS) on NASA’s Terra satellite acquired this natural-color image of Typhoon Soulik as it neared Japan. The storm carried maximum sustained winds of 115 miles per hour (100 knots)—the equivalent of a category 3 storm on the Saffir-Simpson wind scale. Forecasts called for Soulik’s track to move over Japan’s Amami Islands and then curve north toward the Korean Peninsula. Meanwhile, Typhoon Cimaron is strengthening in the Northwest Pacific Basin. 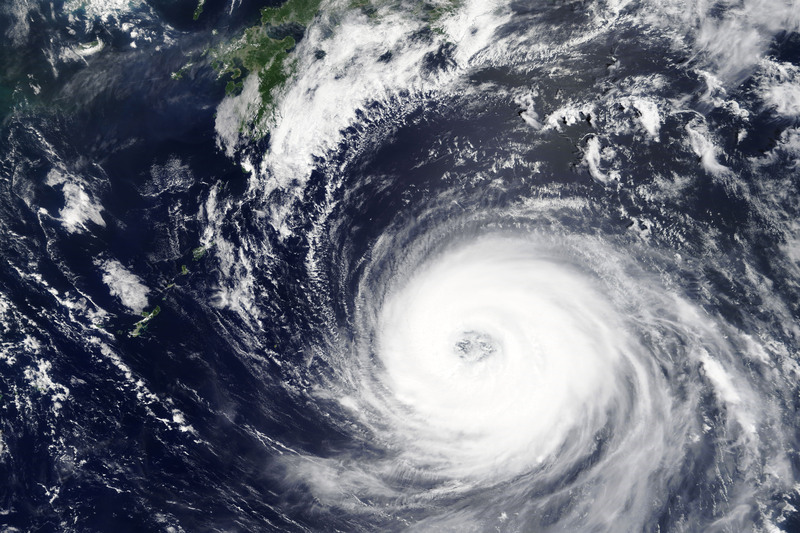 Forecasts indicate it could hit Japan later in the week. Aljazeera (2018, August 19) Twin typhoons threaten Japan and South Korea. Accessed August 20, 2018. Japan Meteorological Agency (2018, August 20) Tropical Cyclone Information. Accessed August 20, 2018. Joint Typhoon Warning Center (2018, August 20) JTWC Tropical Warnings. Accessed August 20, 2018. The Washington Post , Capital Weather Gang (2018, August 20) Trio of tropical cyclones in the Pacific take aim at Hawaii, South Korea and Japan. Accessed August 20, 2018.